For Auckland girl Katie Collins research informing work in the primary industry is really important. We agree that there are many types of AgWoman and Katie is defiantly another great example of someone doing great things for the industry from a different perspective. Katie was introduced to all the primary industry had to offer when she ventured off to study at Lincoln University. She was born a leader and took on many roles while at university that involved helping others. This included being a GIS tutor and lab coordinator in 2010 and from 2008 – 2010 being the vice president and executive member of the Lincoln University Student Association. While at Lincoln Katie completed a Bachelor of Environmental Management and Master of Resource Studies. Then an opportunity to work for the Auckland Council as a freshwater policy analyst came up in 2011, Katie admits it was an interesting position but she also learnt that she wanted to work in a more practical and outdoor situation. 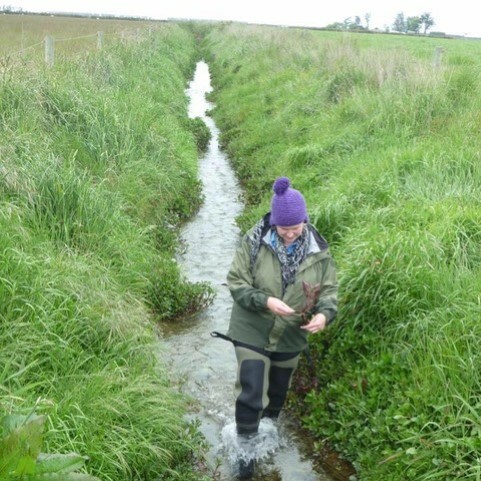 So in 2014 she decided to apply a PhD topic at the University of Canterbury’s Freshwater Ecology Research Group on a project called CAREX - the Canterbury Waterway Rehabilitation Experiment. Katie has been working on the project ever since and is loving being able to work directly alongside farmers and the community to help find solutions and improve on farm sustainability. She looks forward to being able to share her research with others for their overall benefit and the benefit of the environment. Along the way Katie has been awarded many scholarships to support her research – including a MacKenzie Charitable Foundation PhD Scholarship, an IPENZ Rivers Group Student Research Grant, a Dan Watkins Scholarship in Weed Science, and a Canterbury Branch NZFGW Trust Award. When you can’t find Katie out in the field you may find her in her spare time, volunteering as a unit leader and the national girl opportunities portfolio holder for Girl Guiding NZ. She also volunteers with Spirit of New Zealand as a watch assistant which enables her to share your skills and learnings with others. And if that wasn’t enough for this busy environmentalist she also is a Co-Editor for the New Zealand Natural Sciences Journal through the University of Canterbury. I am sure we will see Katie’s career leading into support in the science world and you might even see her on a farm near you one day as she assists farmers with sustainability. Keep up the great work Katie, we are glad to hear you are proud to be an Agwoman because we are proud to have you as one!